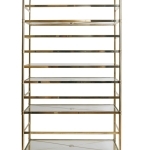 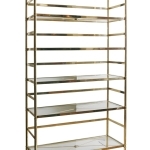 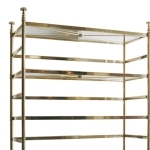 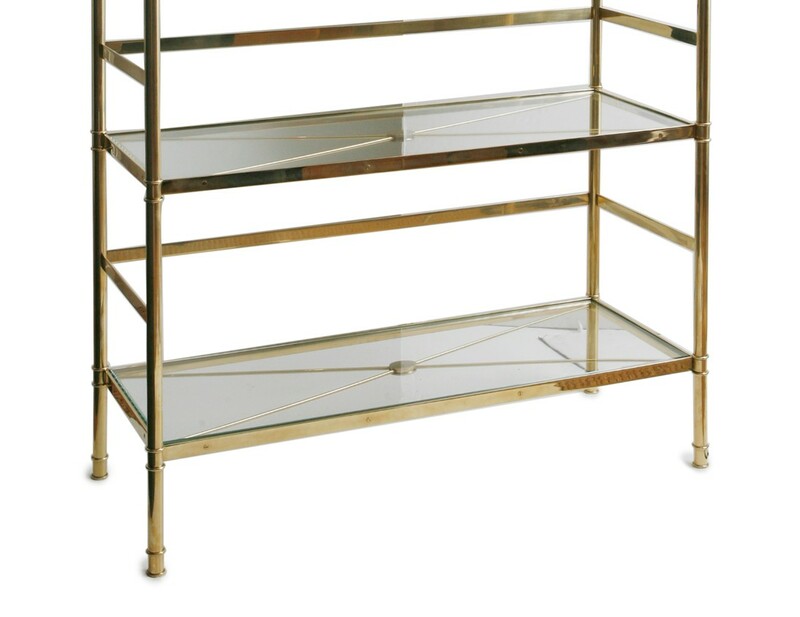 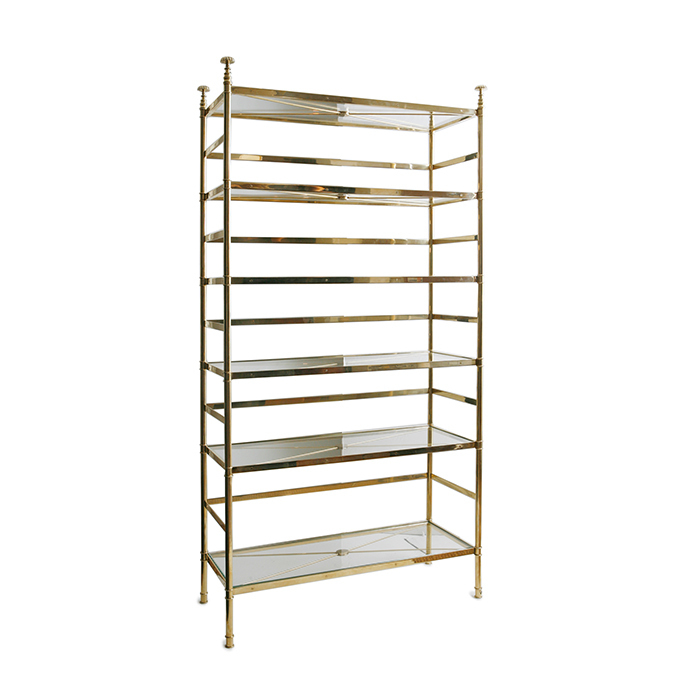 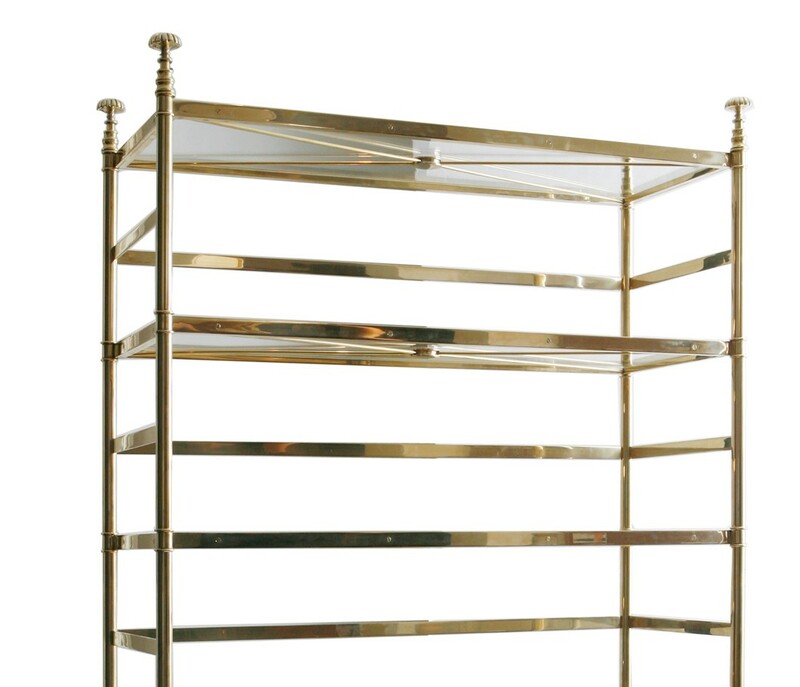 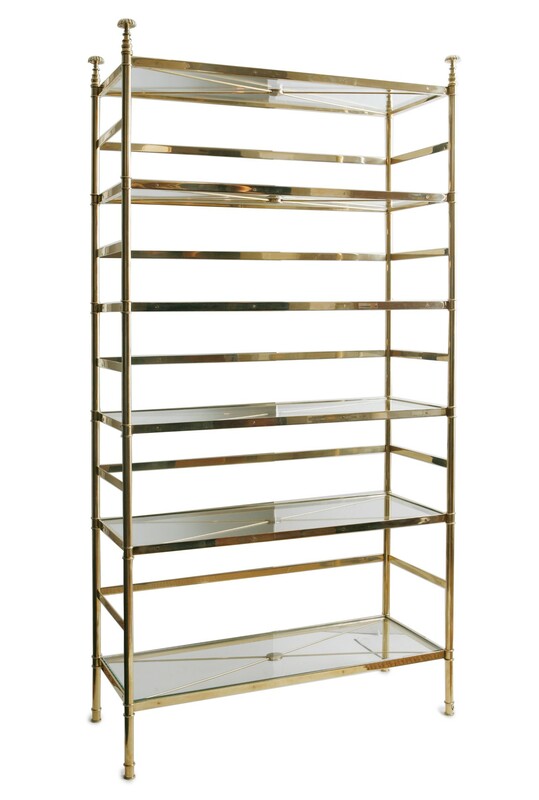 Bookcase, shown in solid brass with Starphire glass shelves. 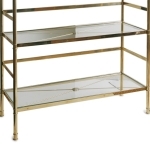 Details include custom designed finials and shelf supports. 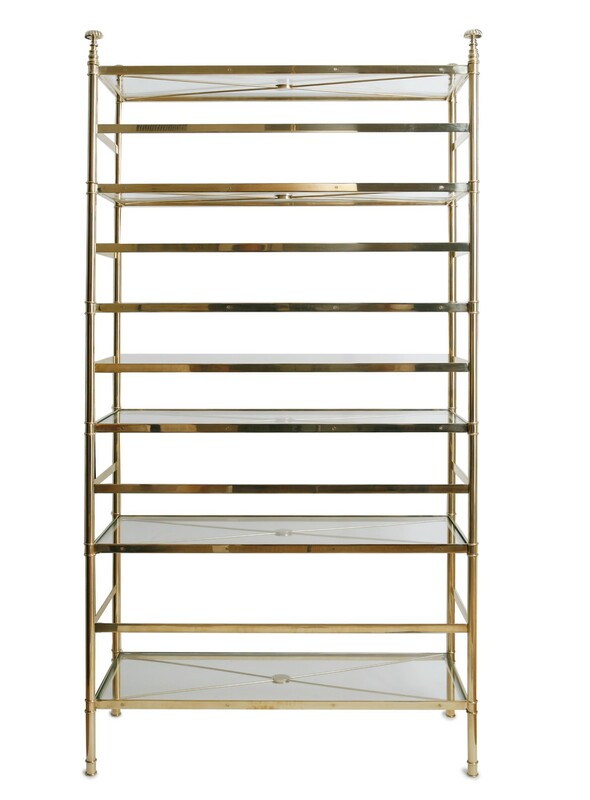 Clean lines highlight the understated and refined elegance of the bookcase.